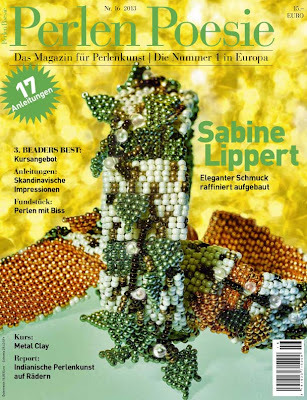 I don't read German, but my translator says that Every Bead Has a Story has been identified as an extensive collection on embroidery, using beads and other materials, covering 53 different techniques and stitches, and featuring 12 projects. 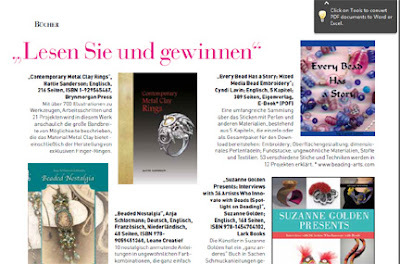 Thank you for including my e-book in your beautiful magazine, Verena! Congratulations!!! A wonderful tribute to you. How cool is this!!! Congrats! It is a well deserved honor!